Home  My Gleanings Page  Illustrated Issue - Page 2. Illustrated Issue - Page 2. The Most Wonderful Mineral of Them All. The Kentucky Fluor Spar Company, of Marion, Ky. are the miners, the grinders and distributors of fluor spar throughout the United States. They own and control nearly every producing fluor spar mine in the district. It is the only district in the United States where it is found in quantity. It is the only company in America that is able to fill their contracts and orders at the time specified. Three great reserve dumps, at Marion, at Mexico, and at Crayneville, on the Illinois Central Railroad, enables them to do this. Good weather, bad weather, muddy roads or freshets make no difference. A contract for a supply of fluor spar made with the Kentucky is always filled as agreed. Their business is having a wonderful growth. Thousands and thousands of tons of this wonderful mineral are shipped to manufacturers from Alabama to Montana, from New York to California. A dozen mines fully equipped with modern mining machinery create the output. Scores of teams do the hauling to the railroad and hundreds of men are at work in the mines. Still the use of fluor spar is in its infancy. When all the blast furnaces take it up and produce more metal and less slag the Kentucky people will simply increase their output. They will increase their dividends, too, at the same time. 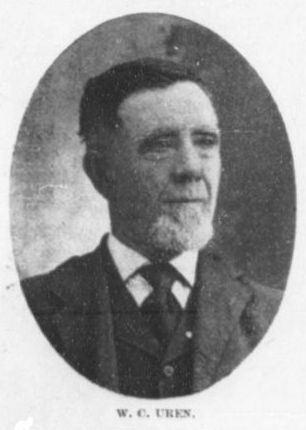 SUPERINTENDENT OF THE "OLD JIM" MINE. There are many reasons why miners should pay close attention to the topography of the country and its relations to the ore deposits. In locating lines or zones of fracture, topography is an important aid. For instance, a valley is very often the expression of a line, or a zone of fracture. Many of our streams follow these lines. In many districts it is a common rule, though not invariably so, that the largest and richest bodies of ore are found in depressions, or "draws" as they are called; and, hence, they are more favored for prospecting. Deep bodies of ore are not so closely related to surface topography. The Columbia mine, as well as the Hodge, is well up on a high divide, although it is noticeable that such ore bodies are deep and are in hard ground. The "Old Jim" Carbonate Mine is an example to the contrary; this great ore body being located in a depression. Much ore has been developed by following the miner's simple rule to prospect the slopes of the smaller valleys. The ores are generally found in the soft, broken, or crushed ground, through which the waters now circulate, or have circulated. The common vertical arrangement of the ores with galena and fluor spar above, and zinc blende dominant below, constitutes a valuable guide in the search for zinc ores. A large body of galena in shallow diggings usually means a large body of zinc blende at or below the water level. The character of the matrix or gangue is an important guide. If made up largely of red clay, it means that oxidizing waters have been very active, and, it is useless to look for zinc blende in quantity, though silicite or carbonate of zinc may be found, and galena may be common. When the red clay gives place to black selvage, zinc blende may be expected to appear and galena to be come subordinate. Iron pyrite, or "Mundic," while not valuable in itself, is closely associated with the ores, and the finding of it is usually favorable. In searching for ore, or the continuation of ore bodies, it is advisable to study the course of the water channels and to follow them. the ore has been deposited by underground waters, and is usually in greatest quantity where the flow has been most important. The greatest flow is along the trunk channels. Following this flow will bring the prospector into the area where the conditions are favorable for the deposition of ore. The course of these channels will usually give the direction of the main belt. Where secondary enrichments are suspected, the direction of the flow of water is specially important. The ores which have been secondarily enriched represent the grand prizes in mining, and are generally very valuable. No attempt will be made here to discuss in detail the methods of mining and milling our ores. It is proper to state, however, that no mechanical process will ever be devised for separating two different ores of the same specific gravity, as in the case of fluor spar and zinc blende. The ores vary widely in richness; all grades from barren rock to practically clean blende is represented. The mill runs will vary from 4 to 30 per cent., that is 4 to 30 tons of zinc blende are produces in milling 100 tons of mine dirt. The four percent. of ore, at the present prices, is about the lowest that can be made to pay expenses. The usual run of ores will average from 5 to 10 per cent. Anything above the latter is considered rich. A 100 ton mill of the Joplin type can be built in this district at a general price of from $7,000 to $8,000. The opening and equipping of a mine will cost, approximately, $10,000. Under average conditions the cost of running a mine and mill ranges between $300 and $500 per week. The Great Oxide Producing Plant in Wisconsin. 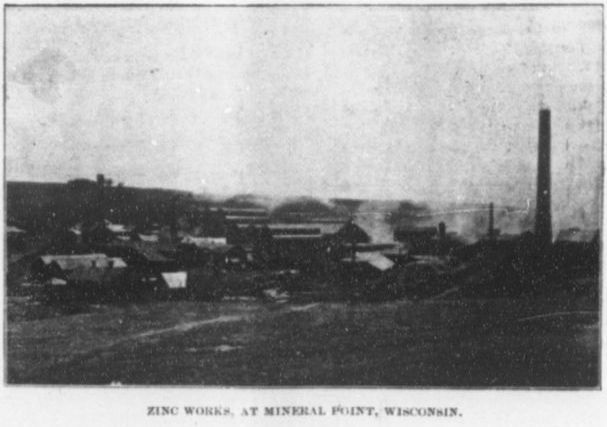 Mineral Point, Wisconsin, has become well known to the miners of zinc ores throughout the United States. Cars of this ore are daily headed Mineral Point way from New Mexico, Kansas, Missouri, Arkansas, Kentucky and Illinois. It is the greatest oxide of zinc producing plant in the country. Oxide of zinc or zinc white as the painters call it, is a pure white pigment heretofore largely used for the inside finishing of residences and business houses, but laterly chosen for outside work on account of its permanence of color in any climate. The carbonate from Marion is utilized in these great works and comes back to us in part in kegs and barrels; not the brown color that it has hen shipped, but a beautiful pure white, ready for the painters' use. the production of this oxide is attended with practically the same difficulties that are met with in other branches of smelting and reduction works. Technically, the plant is not a smelter, zinc being volatile when exposed to heat, the fumes are carried into condensers and are precipitated in the form of white particles, something similar to snowflakes. Ores of zinc from one district alone are scarcely ever suitable for the production of a first class article of oxide. There is a tinge of color that is unexpected in the ores from one section that the ores of another will overcome. It is like the various ores that go to make our best steel; probably six or seven different countries will be drawn upon for the iron, the manganese, the coke and coal, spiegelesen and the limestone. That is the one great drawback to the erection of such works in the mining fields. The Mineral Point plant produce a daily average of 110 tons of zinc oxide. This immense output would cover with white an area of fully 4,000 acres. The gentlemen connected with this company--a component part of the New Jersey Zinc company, are among the most welcome guests that visit our city. The Lead, Zinc and Fluor Spar Prospects. Marion is within twelve miles of the Ohio river, Fords Ferry being the Kentucky landing with Hardin county, Ills., on the opposite shore. The openings made in the various shafts in our main ore veins have caused considerable prospecting in both Pope and Hardin counties. the latter county is noted for not having a railroad within its borders, the only case of the kind in Illinois. There's not much doubt but that our fissures extend under the river into these counties, and at times assert themselves on the surface. The Rosi Claire fluor spar mine has proven the most persistent ore bearer of any yet exploited. It has been worked perhaps a score of years and has supplied more or less fluor spar to the northern steel works during that period. Within the past few months lead and zinc ores have been discovered in a number of places; at times the galena has been in massive form and looked very inviting. In the vicinity of Elizabethtown some gentlemen of this city, with others from Paducah, have commenced work in an old abandoned shaft at the same time sinking another some distance from the original. Samples from this section--selected, of course--have given a good, strong percentage in lead and zinc. Surface deposits of fluor spar have also been uncovered near Cave-in-Rock, Illinois. The notable difficulties in mining "across the river," is experienced in shipping the product. Of course with a floating dock and all the essentials of a water shipping plant that would be over come, provided the water would remain in the river of sufficient height to float it and that it would not rise high enough to cover the entire dock. The Ohio river is a treacherous stream as regards the height of water. The receivers of fluor spar are not apt to depend upon such facilities for a regular supply of this great fluxing material hence the investor should consider the drawbacks as well as the more promising features of the localities mentioned. Extensive preparations were made and a large amount of mining work was performed on a fluor spar vein near Dycusburg. Several barge loads were shipped and reloaded on cars at Joppa, Illinois. Some contention about the title to the property was raised and all work was suspended. As soon as the ownership is properly established the work of mining and shipping will again be resumed. Our Celebrated Carbonate of Zinc Mine. Two great veins of carbonate of zinc aggregating sixty-eight feet in width constitutes the old Jim mine. This great body of carbonate extends somewhat below the water level where zinc blende, or "jack," meets it, and continues downward. More than 8,000,000 pounds of carbonate have already been shipped to the smelters. Millions of pounds more are in sight in a large open cut, somewhat like a great stone quarry. Indeed it is quarried in great masses like the building stones for a skyscraper. The "Old Jim," is the very latest sensation in the underground world. What is more to the point, it is increasing the bank account of its two owners by leaps and bounds. For years they stood alone in having confidence in the ultimate success of their prospect work. It was long, tiresome and money losing. It was not by luck or chance, by a rabbit's foot or the twig of a peach tree. It was pluck and perseverance, great big stick-to-it-ativeness that discovered the "Old Jim." The pictures show the machinery, the dressing platform, the washers and the vein. A photograph also of "Old Jim," the horse that the mine was named after, appears. John W. Blue and Clem S. Nunn, the owners, are in the wagon. This engraving is an almost exact reproduction of the scene, the day the carbonate was first uncovered. What is a little wonderful, everybody is pleased at their good fortune. Crittenden County Zinc, Lead and fluorspar Company. The Crittenden County Lead, Zinc and fluorspar company own lands in the immediate vicinity of the well known Memphis mine, a great producer of the best kind of grinding fluor spar. The vein has been opened, disclosing the same general character of the Memphis. Engine, pump, hoist and other mining machinery have been purchased and will be installed immediately. Messrs. Allie and John Moore of Marion represent the company. The Northern and Southern Interedts [Interests] Merged. The Marion Zinc company, incorporated in the states of Kentucky and Wyoming, is one of our more recent acquisitions. Mr. C. S. Knight, formerly vice president of the great electrical manufacturing establishment of the Siemens Halske Co., is its President; Mr. D. C. Griffith, late of Griffith Bros., wholesale millinery, Indianapolis, vice-president; Dr. J. J. Clark, of this city is secretary. The producing properties of the company are largely located in Livingston county, near Lola. Several openings have been made on carbonate of zinc veins, and a large production is assured of that valuable and much wanted ore. Shipments were commenced by the company last week and will be regular and constant. 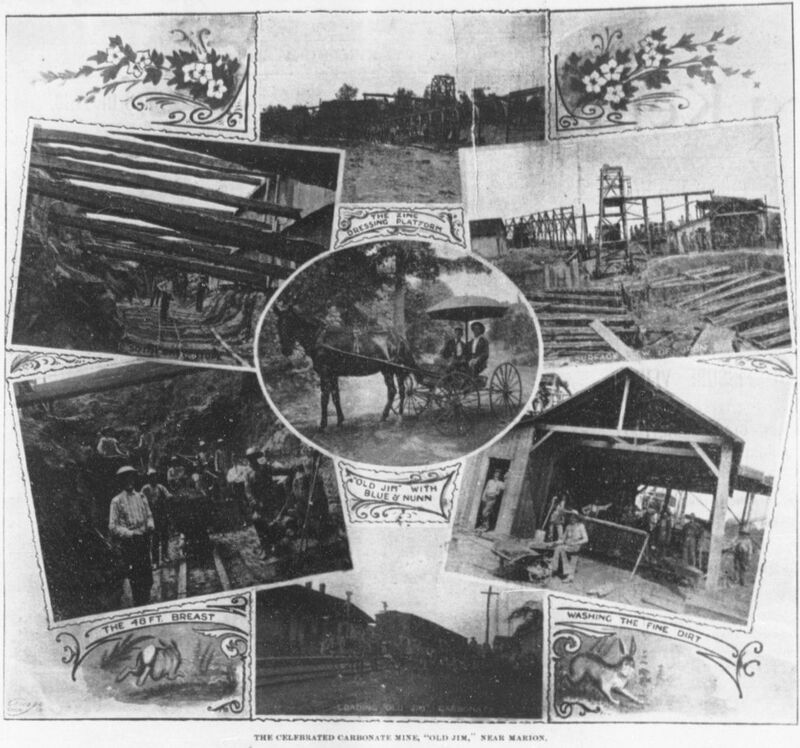 The Galena fluor Spar mine on what is known as the Riley property, some six miles from the Illinois Central railroad, is a remarkable producer of lead ores and fluor spar. The vein of this material is of great width, the lead ore being disseminated in and through the fluor Spar more regularly and strongly than in any mine in the district with the possible exception of the Columbia mine, and very likely as depth is gained in the riley the showing will be very much greater. The entire absence of any zinc ores in this property is of great advantage, as its presence makes a very notable difference in the price paid for fluor spar. The value of such a property as the Riley, carrying as it does galena alone in fluor spar, lies in the fact that both minerals are of marketable value, and but little if any waste will occur. The Marion Zinc company have under lease and option many tracts of land that are adjacent to or a continuation of the best known veins in the district. The Western Kentucky Passes the Columbia Mine Over. Articles of incorporation were filed in the Secretary of States' office July second to incorporate the Columbia Mining company, with a capital of $100,000. N. H. Snow, of Mineral Point, Wis., T. D. Jones of Chicago, and R. W. Bingham, of Louisville, are the incorporators. 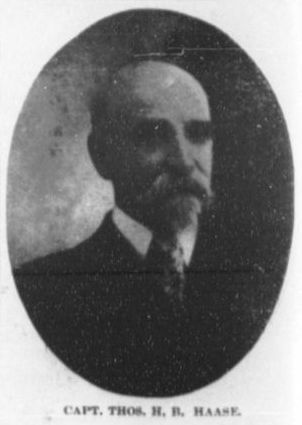 The two first gentlemen are intimately connected with the Mineral Point Zinc company, Mr. Bingham being a widely known lawyer and capitalist of Louisville. The Columbia mine, which those papers cover, has been our standard of what a vein of ore should be. Both ores of lead and ores of zinc, massive and disseminated throughout fluor spar and calcite, prevail in the drifts and stopes. Now that this property has fallen into the hands of men who are technically competent to handle the output as well as financially able to place the property in the very best mining condition, we expect that a few months time will add the product of this fine property to our already growing list of shipping propositions. Operating Zinc, Lead and Fluor Spar Properties. Capt. Thos. H. B. Haase. Source: Crittenden Press. (Marion, Ky.) 1879-1907, July 10, 1902, Image 3 - Chronicling America - The Library of Congress.